Some of you might know that I am based in Cleveland, Ohio. Actually, my husband and I were both born and raised in the suburbs, and we elected to stay here when we married. 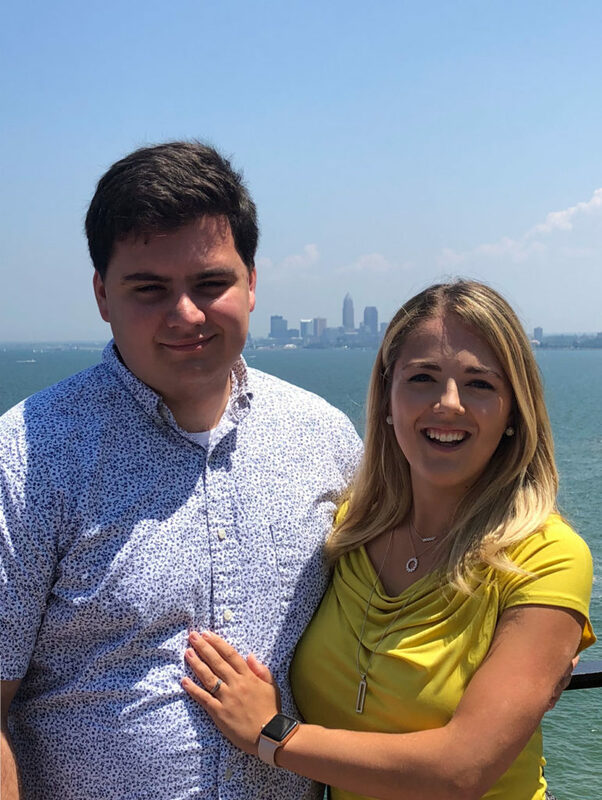 Photo taken at Pier W, our fave brunch spot, overlooking the city skyline. One thing I like about ‘The Land’ (as it’s been coined), is just how much Cleveland residents have begun to love and embrace the city and all it has to offer. I mean, sure, the weather here is not ideal for, well, about eleven months out of the year. And perhaps it doesn’t have the appeal of a larger metropolis, like NYC or LA. 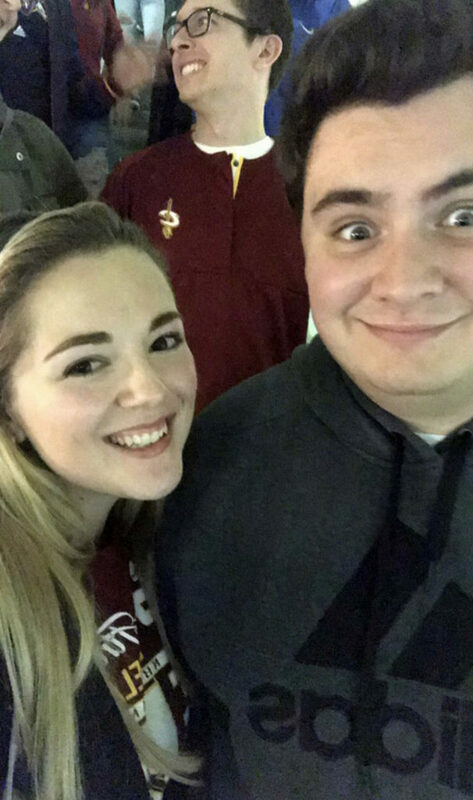 Here’s a grainy selfie of us at a Cavs game last year! Woo! So when the owner of CLE Pack reached out to me and asked if I’d be interested in receiving a ‘Pack’ in exchange for a review on my blog, I jumped at the opportunity! 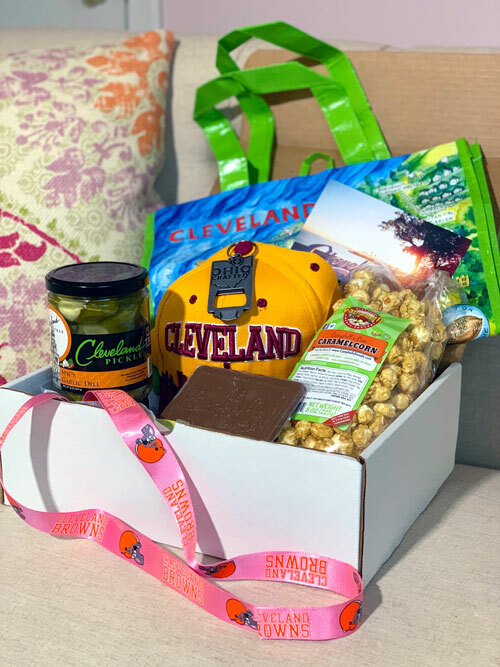 This new, Cleveland-themed company offers fully customizable gift boxes, bursting with trinkets, memorabilia, snacks and other items unique to this city. 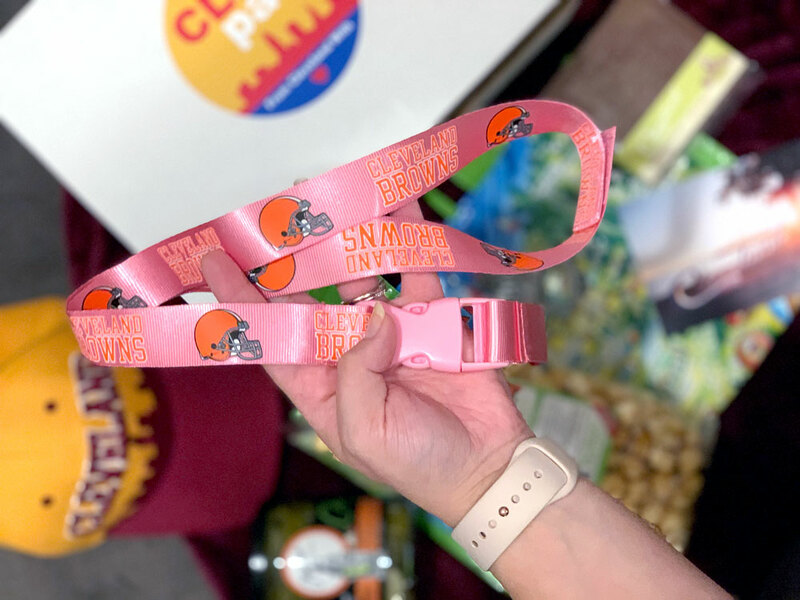 You’ll see products and brands such as Cleveland Metroparks, Great Lakes Brewing Company, The Cleveland Museum of Art, Malley’s Chocolates, and more! On their website, you can choose from packs of 5, 7, or 10 items, and then individually select each piece that goes inside – fully tailored to the pack recipient. The company also plans on incorporating additional pack options in the future. These packs can be delivered to local zip codes (check the site for the full details) or shipped for FREE anywhere in the United States! Yep, free! How cool is that? 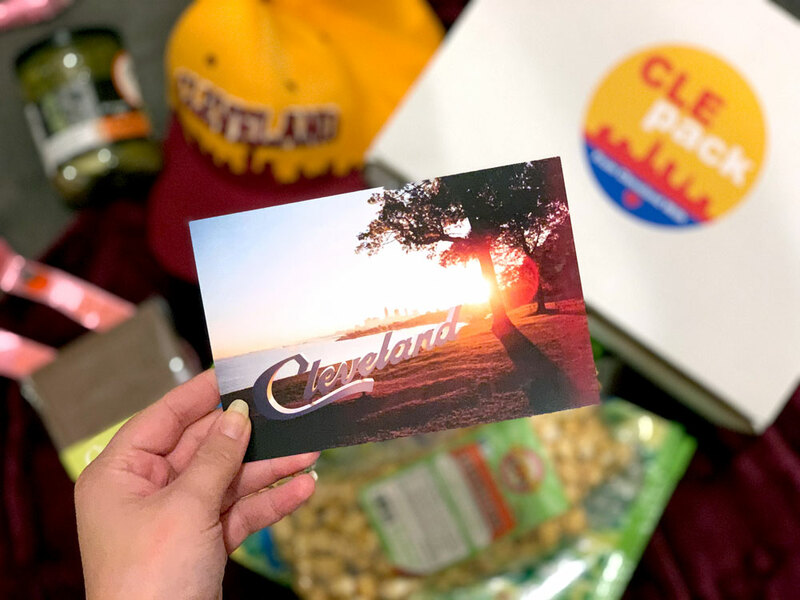 Everything comes packed together in a white box with a cute “Cle pack” label; the sticker says, “From Cleveland, with love.” Upon opening, you find a beautiful Cleveland postcard with a special note on the back, should you choose to include one. 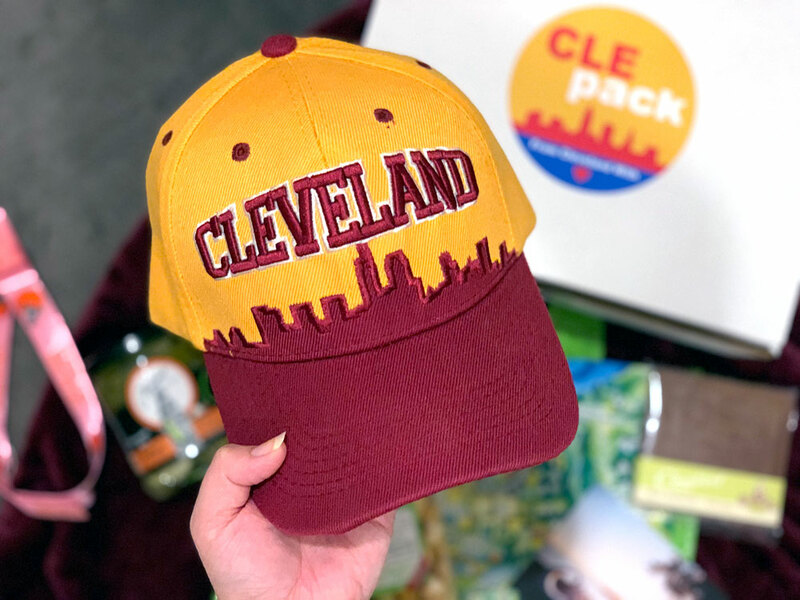 As soon as I was contacted by Cle Pack, I was SO excited to start choosing my items. Then, my box was promptly delivered the next day. Check out my Vlog below for the official unboxing; I hadn’t even PEAKED inside until I started filming. I love to “go green” and use recyclable/reusable bags when I go grocery shopping, so this was a no-brainer. SO much cuter than my Wal-Mart ones I currently have. It’s pretty sturdy, too! I’m a huge pickle fan (no, not preggers… I’ve loved them my entire life! HA!) 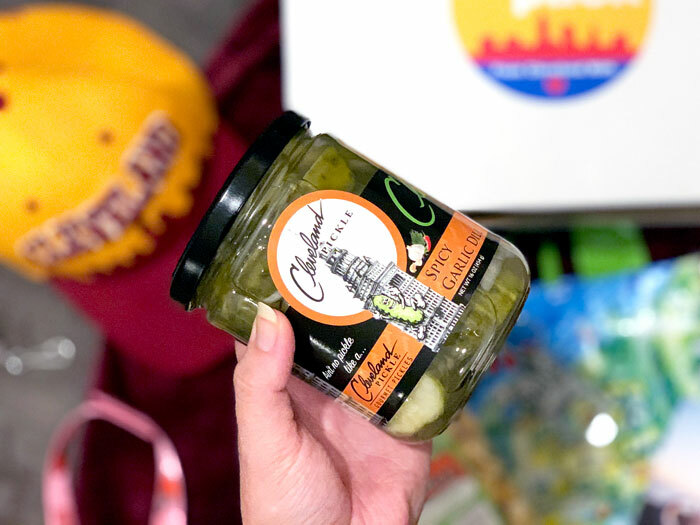 The Cleveland Pickle Company has been on my “Cle Bucket List” for a while, so I was super happy that I could try these! And the jar is so cute, too! 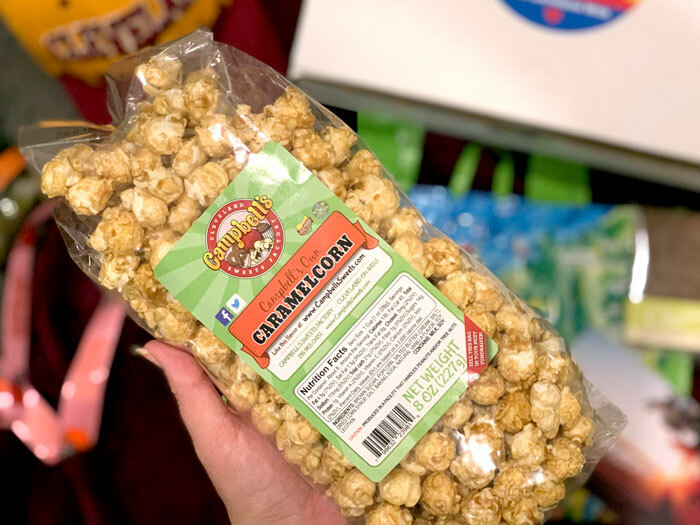 Cleveland has quite a few caramel/popcorn companies, but none do it just like Campbell’s, in my opinion. I was pleasantly surprised at just how large of a bag is included in the pack! I was SO thrilled with my seven items; everything is made of solid, quality materials, and all of the food items are in quantities of which I’m happy! I still haven’t finished my chocolate bar, yet! 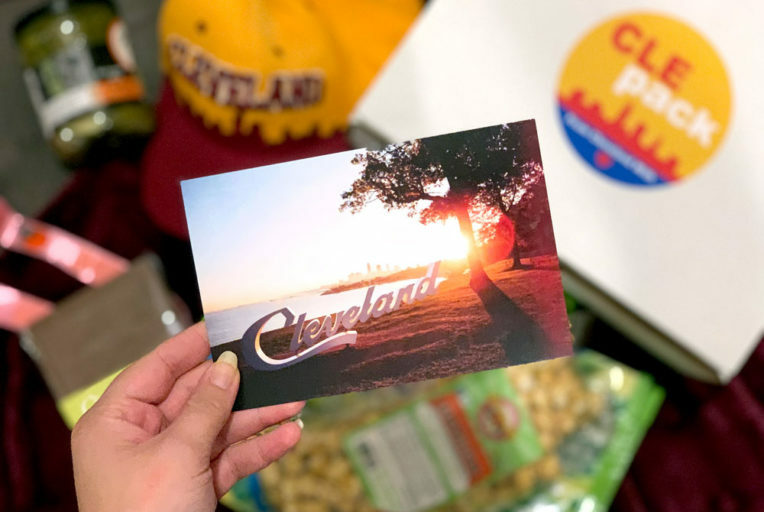 This is such a cool idea for a company; you could call it a ‘taste of Cleveland’. 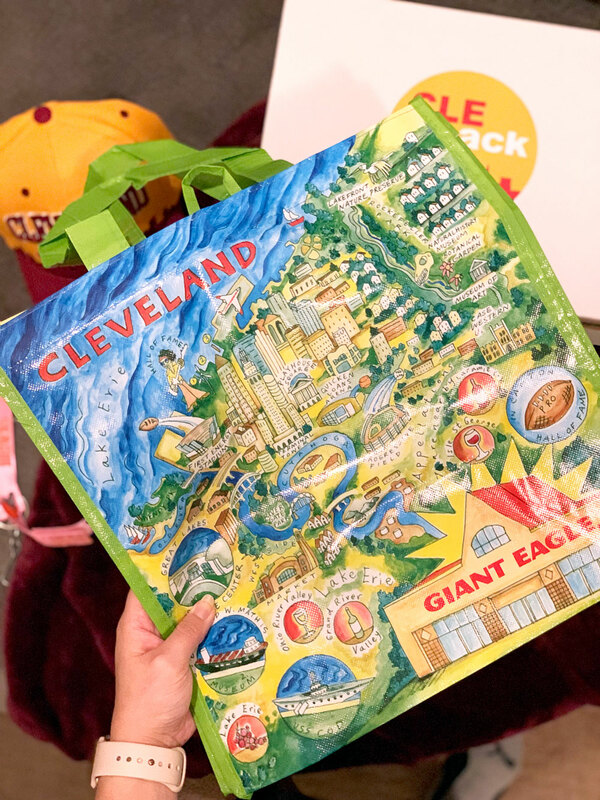 These packs make the perfect gift for any number of people in your life, like that friend who is over-the-top in love with Cleveland (we all have one!) Send them some of their favorite items, or help them check some brands off their “Cle Bucket List”, too! Perhaps someone you love has moved out of the city (college? 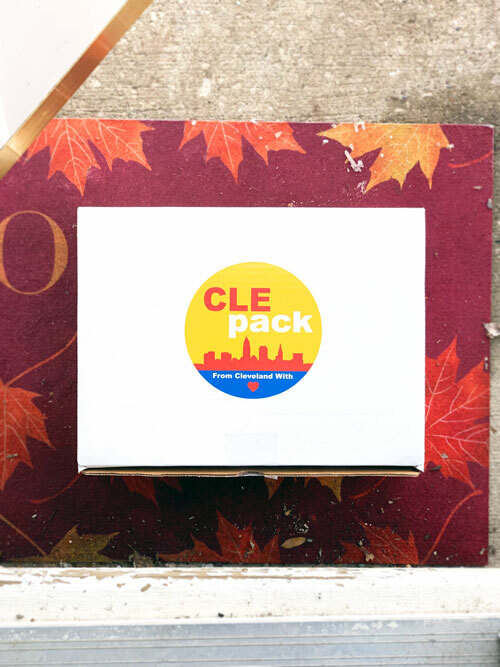 ), and you want to give them a little taste of home: send them a Cle Pack to cure any bouts of homesickness! 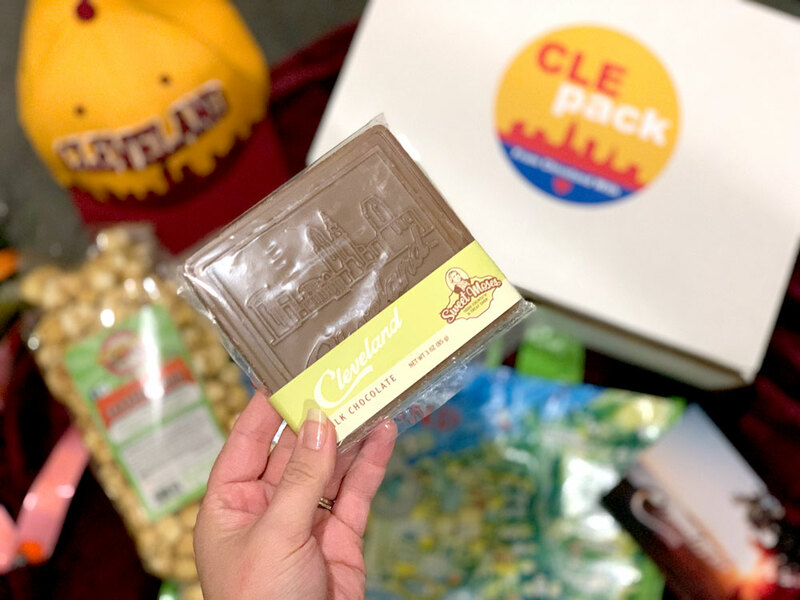 And, if you are new to Cleveland, this would make a great gift for family or friends back home; the pack is a nice way to give them a taste of some favorite things from your new city. 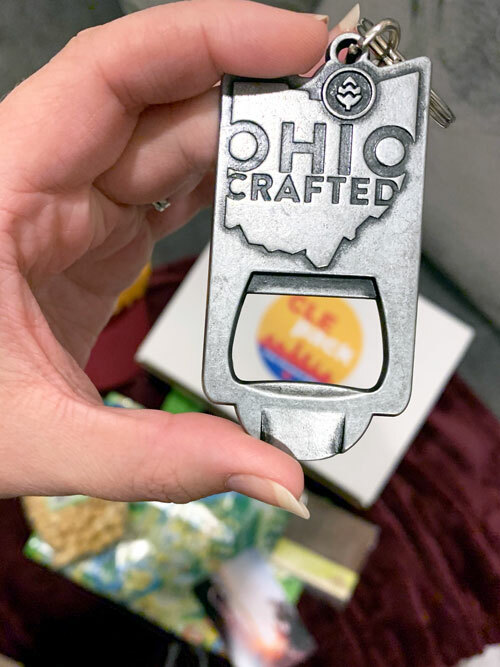 I’m super happy with my Cle Pack and I think you’d love it too, so make sure to check out their site here for more information, or to order your own personalized Cle Pack. Be sure to check out my recent post: Cranberry Walnut Cookies in a Jar. It is another super cool gift idea!